Eric Lemkin graduated from Eastern Michigan University with both a B.S. and M.S. in Exercise Physiology. 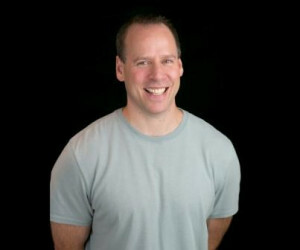 He is a certified personal trainer through American Council on Exercise (ACE) and though American College of Sports Medicine (ACSM), Certified Strength and Conditioning Specialist through National Strength and Conditioning Association( NSCA) , and Corrective Exercise Specialist through National Academy of Sports Medicine (NASM). He spent 4 years in Cardiac, Pulmonary, and Cancer Rehab at a hospital-based wellness center in Raleigh, NC. . Eric has also managed corporate fitness centers and rehab centers around the U.S for GM, Ford, and Chrysler, Capital One, Honeywell, Gerber, GM, Medical Mutual of Ohio. Eric is a faculty member of Exercise Etc., which provides continuing education for personal & athletic trainers. Lemkin has instructed hundreds of exercise instructors on topics of exercise techniques, balance & fall prevention, nutrition, strength and conditioning, core training, and power development. He also teaches Anatomy and Physiology and other PE courses at University of Toledo, Owens Community College, and Washtenaw Community College. In 1999, Eric founded Functionally Active Fitness where he offers private training, sport-specific training, boot camps, kickboxing, plyometrics, kettlebells, and senior fitness. His clients from age 12 to 82, ranging from highly conditioned athletes to stroke survivors. Eric is married with 4 kids and 2 dogs. He enjoys running 10ks and has done 2 Warrior Dashes and plans to do his first Tough Mudder in 2014. He will also do crossfit workouts and powerlifting. Eric loves crossword puzzles, yard work, and Words with Friends. Learn More about Eric and his Studio at Functionally Active Fitness.